I purchased the 328iS in April of 2015 as a replacement for a vehicle to get me to and from work, after having my prior car totalled by some 16 year old texting and driving that ran a red light. 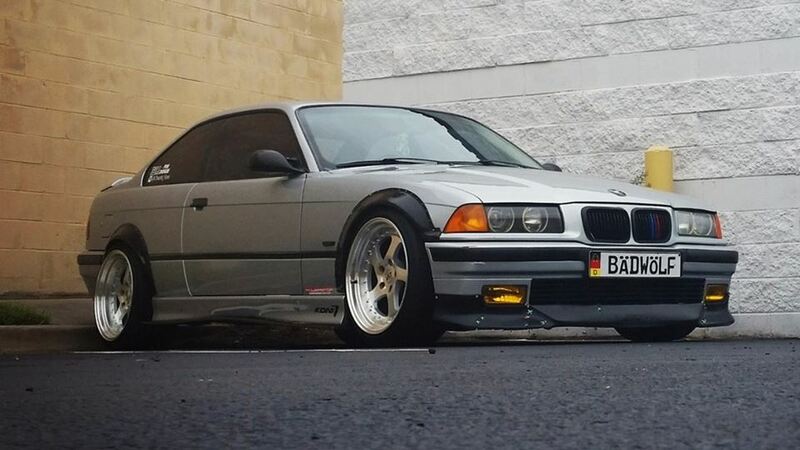 I had some interest in the e36 chassis, but had never considered purchasing one, as I didn't see myself as one of the stereotypical owners, but I got a steal for the car, and things seemed to have spiralled out of control from there. When I purchased the car, there was no interior. None. Except the driver seat. Wires were everywhere, hardly anything worked, it had fender flares but the wheels didn't even come close to filling them out. As luck would have it, a friend had recently wrecked his M3, and offered me a good deal on the entire interior, provided I did the work myself. So I got to work. The previous owner then contacted me and said he actually HAD wheels intended for the car I purchased, to fit the fender flares. He offered to sell them to me for a heavy discount, as he saw that I had already fallen for the car and was well on the way to bring it back to life. Fast forward about 7 months or so, right after my wedding, I shattered the clutch. As with anything that breaks on the car, we(my new wife and I) decided this would be a great opportunity to do away with the OEM dual mass flywheel, and swap to a single mass ltw flywheel, along with an upgraded clutch to handle the daily abuse I put it through. A month or two went by, and one of the Koni SA struts that the car had upon purchase failed. After repeated failed attempts to get in touch with Koni North America, I decided it was time to make a switch to a company that was more supportive of their customer base. A few friend were using Solowerks coilovers on their European vehicles at the local autox, so I reached out to them. I told them what my goals were, and how I drove the car, and for an extremely reasonable prices they sent me some coilovers. It was around this same time that PowerStop brakes reached out to me, as I had been running their brakes on several prior vehicles, and they sent me an Evolution kit to give a try. I'm still running them and extremely satisfied. As things go, this about time for another serious failure, right? Sure enough, an used connector that was tucked under the carpet came into contact with some spilled juice from my godson. Fearing the worst, the car sat for a while as I planned what to do next. With the help of my wife and a few friends, the wiring issues were resolved, and the car was once again on the road. Hard Motorsports (who built my flares) and Mkah Motorsports (who builds some excellent bits and pieces for this chassis) both reached out to me. Mkah gave me a discount on some aftermarket door panels to replace the quickly dying OEM ones (if you've ever owned an e36 and had to pull the door panels for any reason, you understand my work). And Hard Motorsports featured my car on their IG page. I strive for a balance between function and form, and I think I'm nearing that goal. 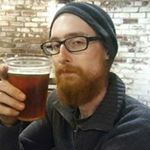 Thanks for reading, and feel free to leave any feedback, positive or negative.